Finally, amidst the Thomson neighbourhood, a hip Japanese outpost at Thomson Plaza. Sushiro boost to have one of the cheapest Barachirashi bowls in Singapore. Beware, as the place is so small, 4 bar counter seats , and probably 8-10 table seats? Yes it is that small. It is located right next to the food court ( No you can’t take your food to the food court either, I’ve asked ). 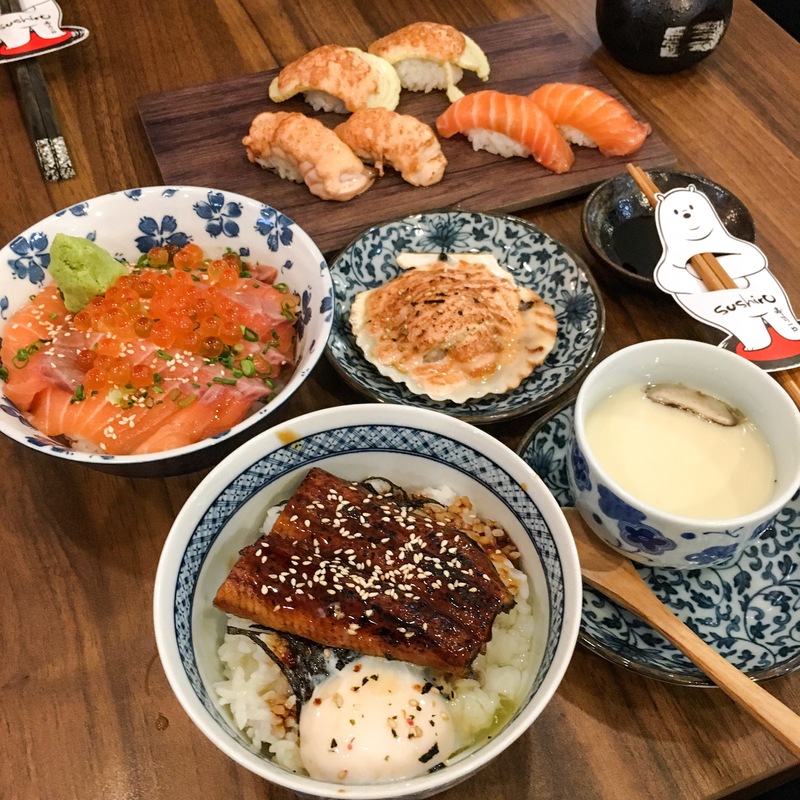 The cheapest donburi on the menu is the Salmon Teriyaki Don at S$9.80, and the most expensive is the Unagi Don at S$15.80. For seafood on sushi rice bowls, prices ranges from as low as S$10.80 for the Salmon Don, and as high as S$32.80 for the Premium Bluefin Tuna Don. No doubt everything seems rather affordable on its own, but you end up getting more rice than actual ingredients. So, for those of you who avoids too much carbs, I’ll recommend ordering just the protein dishes. The must orders? Anything with Mentaiko! The sauce is yums. Parking[EPS] at Thomson Plaza, or you can park around the residential estate [FREE] and walk over to one of the many cafes situated in the area. Perhaps some Bingsu at Nunkkot or Nunsongyee?